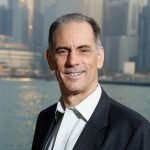 Mark L. Clifford is the executive director of the Asia Business Council and author of “The Greening of Asia: The Business Case for Solving Asia’s Environmental Emergency.” Previously he was editor-in-chief of the South China Morning Post, publisher and editor-in-chief of The Standard, and Asia regional editor for Businessweek. Mark’s other books on Asia examined China’s entry into the WTO, the 1997-98 financial crisis, and Korea’s economic development. Mark graduated from the University of California, Berkeley, and was a Walter Bagehot Fellow at Columbia University. He has lived in Hong Kong since 1992. 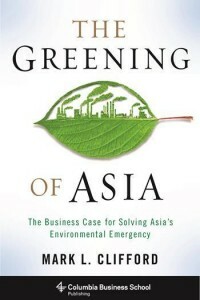 YCW: Your 2015 book, “The Greening of Asia,” highlights more than 50 case studies of Asian companies active in environmental initiatives and draws from interviews with senior business executives across the region. What are some of the key lessons for China? MC: I think the main lesson is that there needs to be leadership at the very top and it needs to be consistent, long-term, and very clear. Singapore has been particularly successful in water. Its founding father, Lee Kuan Yew, saw back in the 1950s the impact and dependence that Singapore had on water imported from Malaya across the Straits of Johor. Even before independence, he was determined that Singapore would never find its very existence under threat because it lacked access to water. The leaders who understood this existential threat and communicated it effectively to their population set up a range of policies that got Singapore close to water independence a half-century later. Interestingly, Israel—another small country surrounded by neighbors it can’t always count on—has also developed a very successful water policy. It is difficult for a country as large as China to easily translate the lessons of Singapore. But I do think that having top-level leadership create an environment and policies that trickle all the way down to companies, government ministries, and even the man and woman on the street is key to any long-term success. YCW: Some of your book’s critics have suggested that you relied on “nudge economics,” namely the use of government subsidies to promote green technology. How do you distinguish between “good” and “bad” subsidies? MC: A good subsidy is in the eye of the beholder. I would personally like to see a world where we have no energy subsidies but everything pays its own cost. For example, fossil fuel subsidies are by far the largest. There is more than $500 billion in annual subsidies to the energy sector, of which more than half go to fossil fuels; these vary from depletion allowances to tax preferences and other kinds of taxation policies. Ideally we should have a system where carbon is taxed more heavily to reflect its true cost on society, particularly in health costs, just as we tax tobacco to discourage use. In the short-term, having feed-in tariffs and other subsidies is a way of getting companies to look at the potential of alternatives. That said, I think subsidies should be phased out and transparent in terms of their phase-out. For example, Germany has the largest solar installed base after China. Yet Germany – along with Spain and Italy – has really ratcheted back solar subsidies in recent years because the policies have been very successful. The simple answer is to get rid of all subsidies. The reality is a little more complicated. YCW: Under the 2009 Copenhagen Accord, China pledged to reduce carbon intensity by 40-45 percent below 2005 levels and draw 15 percent of its energy from non-fossil fuels by 2020. Is China on-track to achieve those goals? Were its promises at the December 2015 climate summit in Paris ambitious or underwhelming? MC: When Presidents Xi Jinping and Barack Obama signed the Sino-U.S. joint statement in Beijing in November 2014 and affirmed those targets, people were really impressed. It was the first time that a Chinese leader had put any kind of date on when China’s global greenhouse gas emissions would peak, namely “around 2030.” Xi underlined these commitments at the UN General Assembly last September and then at COP21 in Paris in a multilateral and international context. On the other hand, 18 months on, these targets look fairly underwhelming because China is making very rapid progress towards seeing a peak in emissions and cleaning out its clean tech base. Coal use in China has fallen in each of the last two years, while electricity use has dramatically decelerated. Overall emissions in China have been fairly flat over the past couple years. This is happening as a result of complicated and interlocking factors. We are seeing a slowdown in the Chinese economy and transition to a slower growth period. Part of that is moving away from the heavy industry responsible for coal-burning, such as the electricity, cement, steel, glass, and aluminum industries that burn coal for power. As service providers grow in importance, the demand for electricity and energy shifts quite a bit. I don’t think we are about to see a dramatic fall. However, if China grasps the political nettle and makes even stronger commitments to this front, we could see emissions not only peak but start falling 5-to-10 years ahead of schedule. YCW: What are your thoughts on the environmental journalism coming out of China today? What sort of coverage is becoming more critical? MC: I was a journalist for 25 years and then in 2007, I joined the Asia Business Council as Executive Director. I inherited a project on energy efficiency from predecessor, Ruth Shapiro. When I realized the depth of the problem and how key green buildings were to environmental solutions, I extended the research and ended up publishing a book on green buildings in 2007. It was the first book that looked at green buildings in an Asian context and their importance in mitigating the worst effects of coal-fired power. This project got me deeply involved in these issues from a business perspective. The more companies I talked to who had really ingrained sustainability in everyday business practices, the more I realized the opportunities for Asia. By modestly changing business practices, companies could have an enormously outsized impact on the environment and their businesses. It turns out that the companies paying attention to sustainability end up being better run and, often, more profitable. I wrote about environmental issues fairly frequently as a journalist, but it was my work at the Council that made me realize this was a story that needed to be told. So much has been written about top-down policies, but non-governmental organizations (NGOs) and civil society are very important. The importance of media, civil society, and NGOs to ensure transparency and accountability on the part of governments and businesses can’t be overestimated. But it’s business that day in, day out has to figure out how to make things work: Businesses make decisions that may seem mundane but really drive economic growth, employ people, and generate innovative ways to solve the world’s problems. The business part of the equation has not really been covered, especially in Asia. As an ex-journalist, I just thought this story was worth telling.